The difference between microfiber leather and pu leather is also a kind of PU, which is closer to the leather, and its performance is superior to PU. The full name of the ultra-fine leather is “microfiber reinforced leather”. It has excellent wear resistance, excellent breathability, aging resistance, softness and comfort, strong flexibility and environmental protection that is now advocated. After the PU is added to the microfiber, the toughness, gas permeability and wear resistance of the polyurethane are further strengthened, that is, the ultra-fibre skin; the PU skin is the skin of the polyurethane component, and the polyurethane leather has excellent performance. 1, Microfiber leather is the best regenerated skin. The skin texture is very similar to the leather. The hand feel is soft like leather. It is difficult for outsiders to distinguish between leather and recycled leather. 2, Microfiber leather, is a newly developed high-grade leather in synthetic leather, belonging to the new type of leather. Because of its wear resistance, cold resistance, breathability, aging resistance, soft texture, environmental protection and beautiful appearance, it has become the ideal choice to replace natural leather. 3, The natural dermis is made up of a number of collagen fibers of varying thickness, woven into two layers, a granular layer and a mesh layer. The grain layer is woven from very fine collagen fibers, and the mesh is made of coarse collagen. Woven fibers. At first ,the basketball leather materials is the skin of animals,like cowhide or pigskin, and it is made of chrome-tanned, usually dyed red and yellow, with a thickness of 2.0 ~ 3.5mm. Lately ,as everyone’s environmental protection has become more and more strong, people advocate protecting animals and forbidding the use of animal skins. The most common basketball leather material is PU ,PVC and rubber materials ,PU synthetic leatheris replacement for real animal leather .It has the some feels as real leather ,and much more cheaper than genuie leather ,PU faux leather can replace genuie leather perfectly . Less quality leather surface disability, uniform thickness, small elongation and the longitudinal and transverse almost the same (so as not to make the ball after deformation), not loose not cracking, abrasion resistance and good waterproof, leather plump and elastic. The general selection of PU,PVC and rubber material used on cement floor is better and exquisite. WINIW supply high quality PU/Suede Microfiber leather, PU Synthetic Leather material for basket ball, football, volleyball, soccer, and other balls, etc. Suede is the general term for the surface grinding into fine leather.It includes the anti-velvet leather of the front of the mill or the whole grain surface. 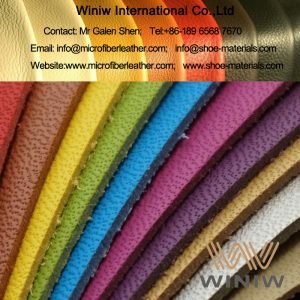 Multi-purpose pig skin, cowhide, sheepskin are made of chrome tanning, the suede leather is only polished and dyed, unadorned, good health performance, easy to maintain poor health.The common quality requirement is the villi is meticulous and even, no color, good water resistance, no greasy feel. Used for making shoes, clothing and gloves. Suede refers to the surface of the leather that is made of leather, which is made of leather. It is made of leather, which is made of grinding leather and is called anti-velvet.The second layer is made of the second layer leather. Because the suede leather has no coating, its air permeability is better, and its softness is improved, but its water resistance, dust prevention and protection are worse The finished products of suede leather are comfortable and hygienic, but the suede leather is easy to clean and maintain. Mainly used for: leather shoes, leather clothing, leather bags, gloves. WINIW Microfiber Synthetic Suede Fabric is the best quality synthetic suede and PU suede material, looks and feels same as genuine suede leather, but high strength and superior durable, eco-friendly, is the best vegan suede leather, the optimal suede leather substitute material, can replace suede leather perfectly! 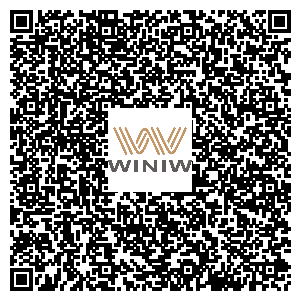 WINIW supply high quality ultrasuede, ultrasuede upholstery fabric, and other faux suede, synthetic suede, microsuede fabric for footwear, furniture sofa upholstery, automotive, etc.